The most common industrial illnesses are those causing breathing difficulties including mesothelioma, asbestosis, asbestos lung cancer, occupational/industrial asthma, silicosis. Exposure to asbestos is known to cause a number of different health problems, and diseases varying in severity including lung cancer, asbestosis and mesothelioma. 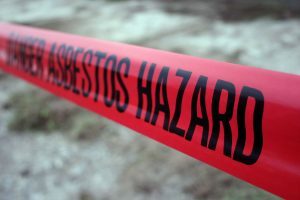 Asbestos may cause illness not only in those directly exposed to the asbestosis by also their family as the dangerous asbestos fibres may be taken home on hair and clothes. Mesothelioma is the most aggressive type of asbestos related cancer. Most people diagnosed with mesothelioma will have been exposed to asbestos at some point in their life and this is the most common cause. Mesothelioma can develop many years (usually 40-60 years) after the initial exposure to asbestos. Often mesothelioma is not diagnosed until it is an advanced state and so usually the outlook is poor. Every year in the UK there are around 1,800 deaths from the mesothelioma. Over the years ahead the number of deaths from mesothelioma is expected to rise due to the long gap between exposure to asbestos and the onset of the cancer. Experts believe that by 2050, 90,000 people in the UK will have died as a result of mesothelioma. If you or someone you know has mesothelioma then this is an extremely distressing and emotional time. You do not need the additional burden of financial worries or complex forms and paperwork.Your are entitled to significant compensation and benefits from an number of different sources depending on your circumstances. The rules concerning mesothelioma claims are complex and changing. If you suspect that you have asbestosis or another asbestos related disease it is important to contact a specialist lawyer who can help you with your mesothelioma claim. As one of the leading specialist personal injury solicitors in Cheshire Stonehewer Moss are a local friendly firm with specialist knowledge and experience. We can guide and support you through the process of securing the compensation that you are entitled to. Error: Error validating access token: Session has expired on Saturday, 09-Mar-19 13:12:58 PST. The current time is Wednesday, 24-Apr-19 19:57:58 PDT.